There are both healthy and disease-causing bacteria in your gut. Extensive use of antibiotics and other factors can disturb the balance and give disease-causing bacteria to take hold of your digestive system. Probiotics are living bacteria that you have to consume in large amounts to fight off bad bacteria that cause different diseases. You can take these probiotics naturally through fermented foods, such as kefir, yogurt, and kombucha. Some people also take probiotic supplements to increase the number of those healthy bacteria in the gut. Unfortunately, you may have to deal with several possible side effects of probiotics. Let's find out how taking these supplements or eating fermented foods can affect you in a negative way. It is true that some scientific evidence is there to support the use of probiotics to reduce the risk of infections and improve digestion, but it is also a fact that probiotics do not prove effective for everyone. In fact, you may end up experiencing several health complications after taking these living bacteria in large amounts. 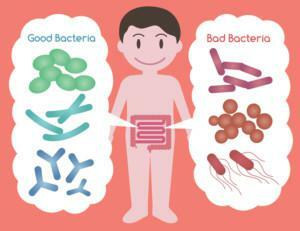 Here is a bit about what can go wrong when taking probiotics. While probiotics do not affect most people, many people have complained about digestive problems, such as gas and bloating. Some studies have also found that people who take yeast-based probiotics are likely to develop problems like constipation and increased thirst. It is not clear why some people are more likely to develop these complications. Some people who experience these symptoms get better after a few weeks of use though. You may also develop unpleasant digestive symptoms if you start with a high dose of probiotics. To avoid these symptoms, you will be better off starting with a lose dose. You can increase the dose over time to ensure you do not end up experiencing gas, bloating, and other digestive discomforts. One of many possible side effects of probiotics is that they can cause headaches. It usually happens because of the amines present in these foods. This is especially true if you opt for sauerkraut, yogurt, or Kimchi because they are rich in biogenic amines, which are substances formed because of fermentation. Some of the most common amines found in these foods are tyramine, histamine, phenylethylamine, and tryptamine. These amines can affect your central nervous system and change blood flow, which in turn can trigger headaches. If you have recently increased your intake of fermented foods and are now experiencing a serious headache, it could be because of the presence of those amines. Exclude those foods from your diet for a few days to see if your headache improves or not. If probiotic-rich foods are the reason behind your headache, you may want to try probiotic supplements instead. Taking probiotic supplements is usually safe, but some of the bacterial strains in these supplements can trigger the production of histamines in the digestive tract. Under normal circumstances, your immune system produces histamine when it detects a harmful substance in the body. Your blood vessels dilate when there is an increase in the histamine levels in the body. The vessels also become permeable to ensure that immune cells can function properly. However, the process can increase inflammation in the body and also trigger allergy symptoms, such as watery eyes, itching, trouble breathing, and runny nose. Some people are more likely to develop these allergic reactions because they have histamine intolerance. In this situation, it is better to avoid taking probiotic supplements, or at least you should get more information about the probiotic strains found in that supplement. You may experience these reactions because many supplements contain ingredients that do not suit your body. People with intolerance and allergies should be very careful when taking probiotic supplements. Some probiotic supplements contain egg, dairy, or soy, and these allergens can cause adverse reactions in people who have gluten intolerance or allergies. People with yeast allergies should avoid yeast-based probiotics or they may develop serious complications. Some of these supplements also contain lactose or milk sugar, which makes them unsuitable for people with lactose intolerance. Similarly, some supplements contain a combination of probiotic microorganisms and prebiotic fibers. Your body may not be able to handle this combination and you may end up dealing with gas, indigestion, and bloating. One of many possible side effects of probiotics is that they can increase your risk for infections. For most people, probiotic supplements help increase immunity. It means that you will be in a better position to fight off infections when you take probiotic supplements. However, these living bacteria can increase risk for infections in people with a weakened immune system. These bacteria can cause infections if they enter the bloodstream. People with prolonged hospitalization, suppressed immune systems, and venous catheters are at an increased risk of developing infections after taking probiotic supplements. Similarly, you should not take probiotics if you have severe acute pancreatitis. If you develop an infection after taking probiotics, it is important to talk to your doctor who may prescribe an antibiotic to treat the issue.